I see the "Claimed area: Your dungeon territory. You can build rooms and drop your creatures on it." shown on the territory of the hero. 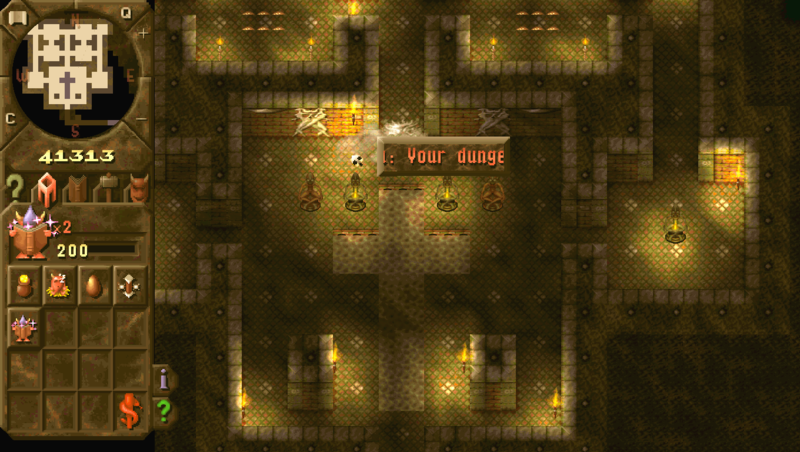 msgid "Claimed area: Your dungeon territory. You can build rooms and drop your creatures on it." I think this message should stay as it is for your own dungeon, so it requires the game to be able to show different strings for own path compared to rival path. msgid "Claimed area: Dungeon territory that does not belong to you." You can't call it enemy/rival territory because you can be allied to the player.